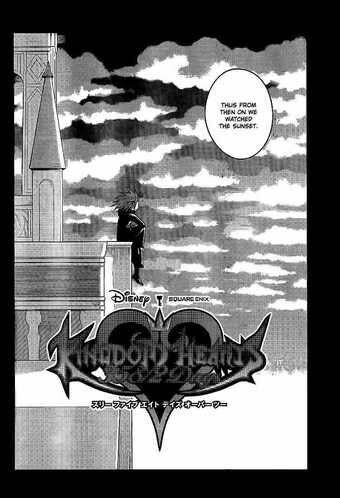 Kingdom Hearts 358/2 Days isn't due out in North America for another two months or so, but maybe the manga will tide you over 'til then. The July issue of Shounen Gangan features an eight-page preview chapter of the manga which basically re-hashes all the names and some of the neuroses of Organization XIII's members. The new character, Xion, also makes an appearance as the organization's 14th member that you never see or hear about in any of the other Kingdom Hearts games. Kingdom Hearts 358/2 Days is out for the DS on September 29 and if you're lucky enough to be at Comic Con, you can catch a playable demo of it there — like this lucky guy. If you're like me and stuck waiting until September, you'll just have to settle for a fan translation of the manga. While we're waiting, would anyone like to take a stab at explaining to me how Xion can be Kairi's Nobody when Naminé is already Kairi's Nobody? Is Kairi just so special she has to have two?